It's that time of the month again: comics solicitations! As DC has already told us what is coming April (and May) for its event Convergence, that just leaves us with Marvel for this month. You can check out the DC solicits here, here, here, and here! So what has Marvel got coming for us in three months? A lot more than in March, but most of that is in the form of quite a few books coming to an end. Much of this is being done as Marvel prepares to launch into this summer's event, but some of it could point to some restructuring of titles and creative teams after the summer's end. Below you can find my 10 most noteworthy of Marvel's April solicits in no particular order. Thanks to Newsarama for the solicits. Be sure to click the link to check out the full title listing. 1. 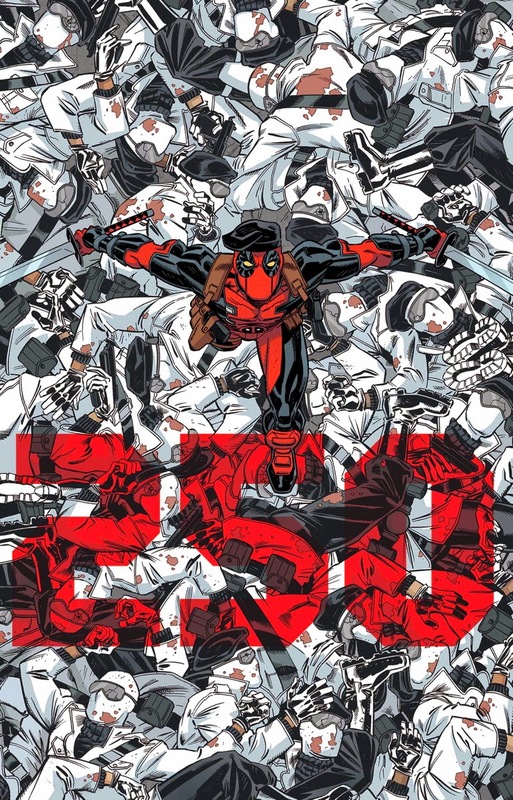 Deadpool Dies...Again - We've seen it happen before and now we are seeing it again...that seems to be the problem with a near-unlimited healing factor. Deadpool is once again biting the dust, bringing an end to a comic that began at the onset of Marvel NOW. Sure to be a big seller. 2. Ultimate Spider-man Ends....Again - Poor Miles Morales just can't catch a break. Crossovers, deaths of family members, and now TWO series coming to a close. Hopefully once this Spider-man is over in the 616 Universe, he won't have to have his series start over once again. 3. Avengers/New Avengers End....Again - Yes. Another ending for April. This time it's the close of Jonathan Hickman's two year run on both Avengers and New Avengers. While both will likely read better in trade, it has been a wild ride, one which will lead us right into the already much hyped Secret Wars. You will not want to miss this. 4. 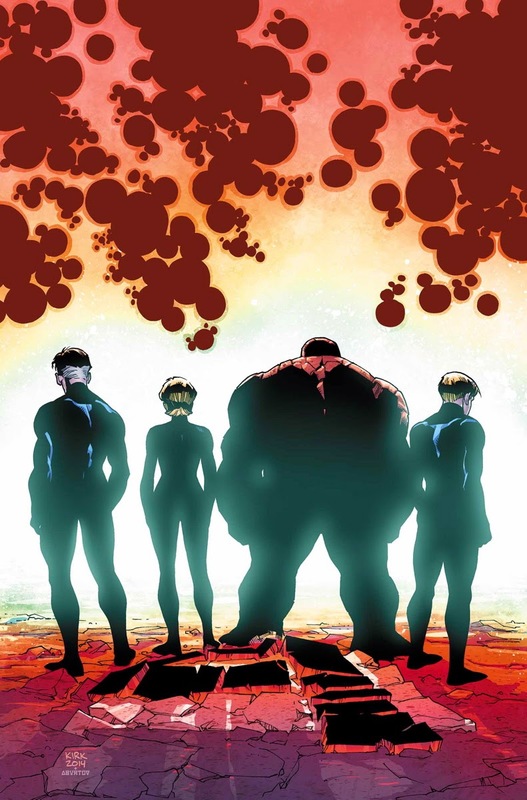 Fantastic Four Ends...Yes, Again - Though Marvel's solicit calls this a controversial move, most saw this coming a mile away. James Robinson's run on Fantastic Four comes to a close with yet another re-numbering and final issue for the long-running title. With so much bad blood between Marvel and FOX over the film rights to these characters, this series may actually be gone for quite a while. • Will Johnny get his powers back? Will Reed and Sue be a family again? 5. Get Ready for More Ultron! 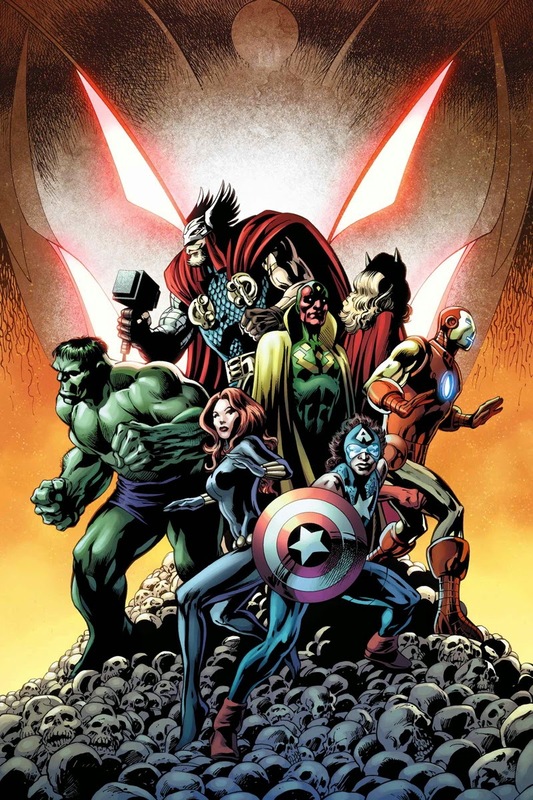 - As April puts us less than a month away from Marvel's most anticipated movie of the summer, Avengers: Age of Ultron, expect the villainous robot to become much more of a presence in your Local Comic Shop. 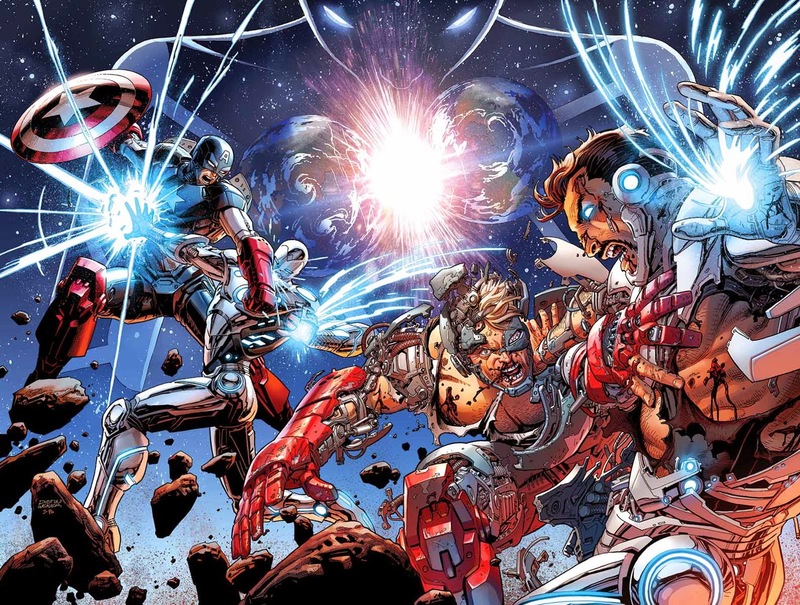 This Ultron story sees different Avengers from different times united to take on the robot. Think Exiles but with Avengers. Could be awesome. 6. 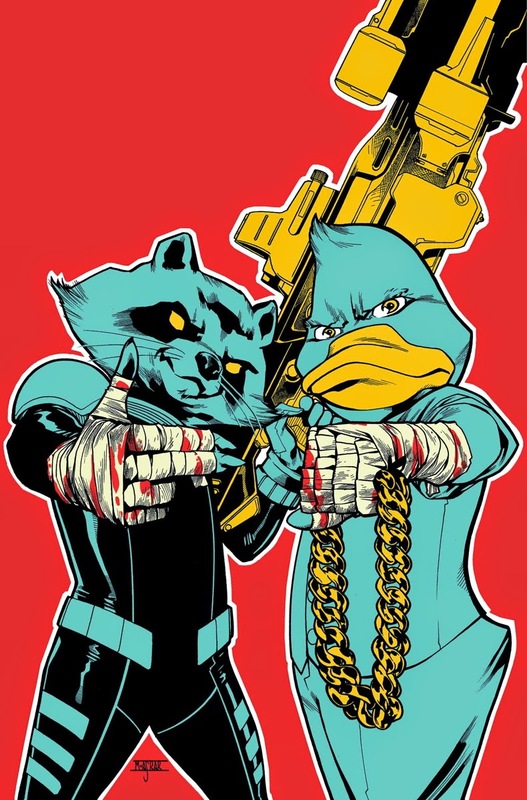 Howard the Duck Gets Meta - So I'm pretty pumped for Marvel's new Howard the Duck series. Chip Zdarsky is a funny writer and a great storyteller. April's issue gets the Guardians of the Galaxy and the Collector involved. Hopefully the book is as self aware as the solicits. • Howard’s first big case has taken him across the universe and landed him in the clutches of THE COLLECTOR! • But he’s not alone as the very popular ROCKET RACOON is a prisoner as well! Have you ever seen a comic book sequel to a post-credits scene in a movie? 7. 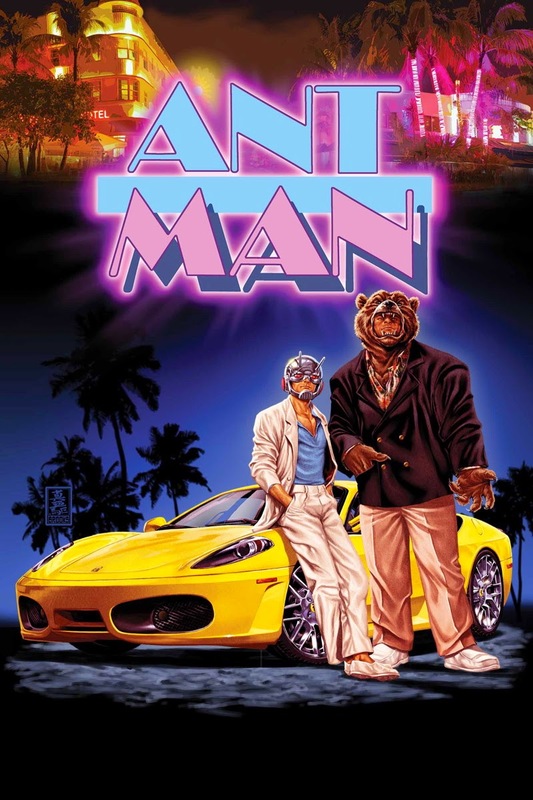 Ant-Man Meets Miami Vice - The debut of Nick Spencer's Ant-Man was a bit of a surprise. Not only was the book a big seller, but it is quite possibly the strongest debut issue of the year so far. The light-hearted tone of that issue seems to continue all the way through April as we see Scott Lang's move to Miami pay off in one of the best covers from all of Marvel's solicits for this month. 8. 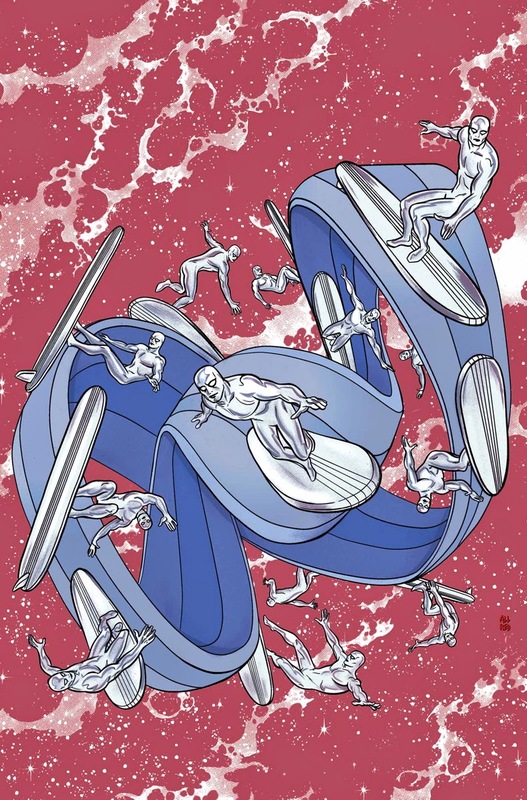 Silver Surfer has Something Special Coming - The solicit for April's issue of Silver Surfer is a bit mysterious. 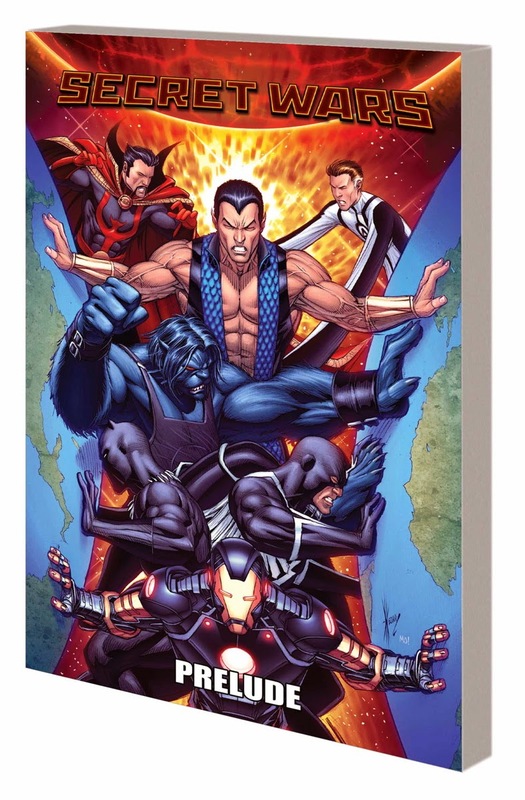 Not only does the book see the price jump up to $5, but it promises to be one of the most memorable Marvel comics you will ever read...a special issue of some sort. Jabs at DC are even taken. No idea what's in store, but amazing art is almost all but certain. 9. Prepare for Secret Wars - So not only can we expect lots of Ultron this summer in our comics, but you can also safely bet on lots of stuff tied to Secret Wars, the event set to lead Marvel into an all new era. 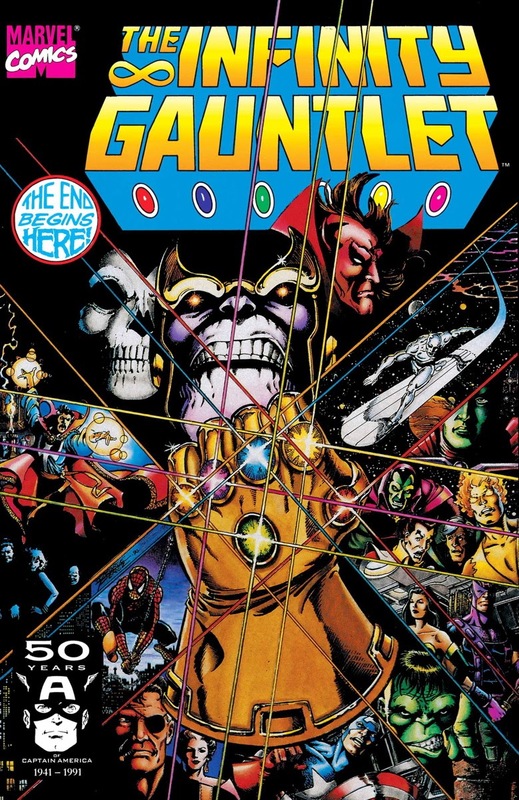 It all begins in April with a trade paperback with various issues to prepare readers for the upcoming event. What's included gives a good clue as to what we can expect. So what are you excited to see from Marvel in April? Let us know in the comments below!